The elephants' primary threat is the loss of habitat. 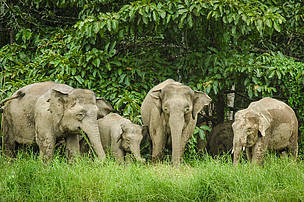 It is often said that Borneo elephants are beloved in Sabah. These large mammals – the largest to walk the land of Borneo – are known to be gentle, non-threatening and beautiful. For those of us lucky enough to have come across these creatures in the wild, they are a wonder to behold. As Sabahans, more often than not we are told that the Borneo elephants are our iconic species. They are to be fiercely protected – their kind safeguarded. Yet, for some, the Borneo elephants are regarded as pests. They are a nuisance because they often trample across plantations, feed on valuable crops and destroy seemingly anything that get in their way. At times, the elephants have destroyed premises and gotten into conflict with villagers in remote districts. For the people in constant contact with elephants, where their lives and livelihoods are at stake, it is difficult to ask of them to remember that these gentle creatures mean no harm. Yet, for those of us far removed from the situation, it is equally difficult to ask of us to feel real empathy for the elephants. After all, what we know of the elephants are what we read in the newspapers – one elephant dead here, another there. Once we discard our daily newspaper, we simply discard the thought of the elephants from our minds. Where we are left with then when it comes to the Borneo elephants is a situation of sitting equally on two ends of an extreme. On one hand, we have urbanites who care about the plight of the elephants only in as much as it doesn’t affect their daily lives. Those of us that live removed from the situation will pledge to protect the species, perhaps donate a few hundred ringgit to causes protecting the elephants and voice our dissatisfaction at how nothing is being done to stop the killings of elephants. On the other end of the extreme, we have the people who are actually affected by close contact with elephants. Theirs is a story of fear and constant trepidation. Elephants, like all wildlife, are driven by their need for food and shelter. With an inadequate source of food in their forest habitats, the mammal ventures into plantations where it knows that the probability of finding food is good. Elephants also travel long distances daily, depending on the availability of food, which would mean that the likelihood of them crossing paths with people is high. While we are on opposing ends of a spectrum debating on what we should do and who should be responsible, the species in question – the elephants – are continuously threatened. Already in this past year, we have recorded at least 15 elephant deaths. In July, four elephants were found dead in various locations in the span of merely eight days. There are less than 2,000 Borneo elephants left in the wild, and the number of elephant deaths is adding up at an alarming rate. We have no more elephants left to spare as we sit idle pondering on the situation and playing the blame game. If we are not careful, within our lifetime, we could see the complete loss of Borneo elephants in Sabah. Just how did we get to this juncture? What has caused a majestic mammal once found in abundance in our forests to be reduced to a population so small that extinction is more likely than it is not? The primary threat for elephants, like all other wildlife, is the ultimate loss of precious habitat. 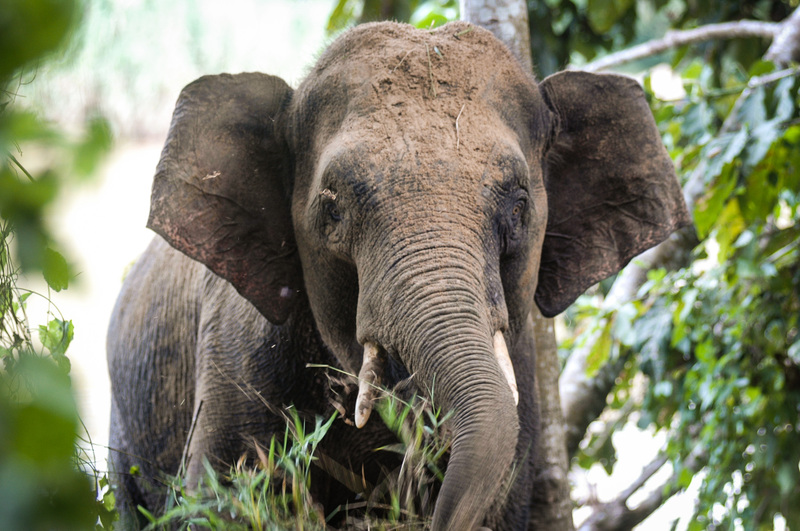 This problem is more pronounced for the elephants as the species needs connectivity between fragmented forests to enable them to access larger foraging grounds. The Borneo forests that they call home are fast disappearing and are increasingly fragmented in part thanks to deforestation and development. Acres of plantations replace that of lush forests, taking away with it the wildlife’s natural source of food and shelter. In this scenario where food and shelter is lost, the elephant populations have found it a challenge to survive. Elephants, being a long-lived species, are known to use traditional routes in search of food and water, and will continue to use these forest areas even after they have been converted. Inevitably they lose their sources of food, causing many populations to simply disappear over time. Yet few do survive, and this intelligent species have found a way to adapt in this new world. The elephants have learnt to live in plantations, survive on fruit bunches and other planted crops. They have learnt to live in the presence of humans and human activity. Sadly, while they have learnt to adapt in a world where humans and elephants meet from time to time, we have not learned the same. Human-elephant conflict are among the more pressing issues when it comes to the survival of elephant. Elephants are attacked and killed often in retaliation to the destruction that it has caused for villagers and plantation workers alike. Elephants are also susceptible to snares laid out by poachers aiming to catch other wildlife, but often harming the elephants that come its way. The increasing lack of space has meant that both elephants and humans find many instances in which they clash and this clash has often been detrimental to both sides. A solution to the lack of space for elephants is, quite simply, give these gentle giants access to more space. In conservation terms, this means setting aside corridors that allow continuous elephant movement, ensuring that they are not isolated to just a specific area at any one time. One such important corridor for the elephants is the corridors connecting Sabah and North Kalimantan. While Borneo elephants typically inhabit the central and southern ranges of Sabah, North Kalimantan is the only remaining habitat for elephants in Indonesian Borneo. Therefore, the existence of the corridor connecting North Kalimantan to Sabah is vital to the survival of these gentle giants, especially those inhabiting the Indonesian side of Borneo. To secure the southern landscape on the Sabah side of the corridor, WWF-Malaysia signed a Memorandum of Understanding (MoU) with the Sabah Forestry Department and Sabah Wildlife Department in October 2017, where all parties seek to maintain, establish and restore landscape connectivity for animals, plants and communities by harmonising and balancing the competing land uses within the area. Over the past few months, parties from both side of the border have come together to exchange experiences and information in hopes of securing the corridor between both countries and ultimately securing the future of the elephants. For Sabah and North Kalimantan, the work has just begun. To ensure a protected corridor for the elephants to traverse through the border for years to come, WWF-Malaysia and WWF-Indonesia will have to work in close partnership with each other and with the various government stakeholders in both countries. A series of workshops and field visits on both sides of the border have also been conducted and follow-up meetings planned to better understand elephant activity and engage with local governments to enforce proper regulations to ensure a future for these endangered species. Perhaps the other long-term solution to help protect elephants can be deemed as the most difficult one as it requires not only tolerance but also a complete change of mindset. The challenging task at hand for the likes of non-governmental organisations such as WWF-Malaysia is to initiate a wave of change in the way we think. 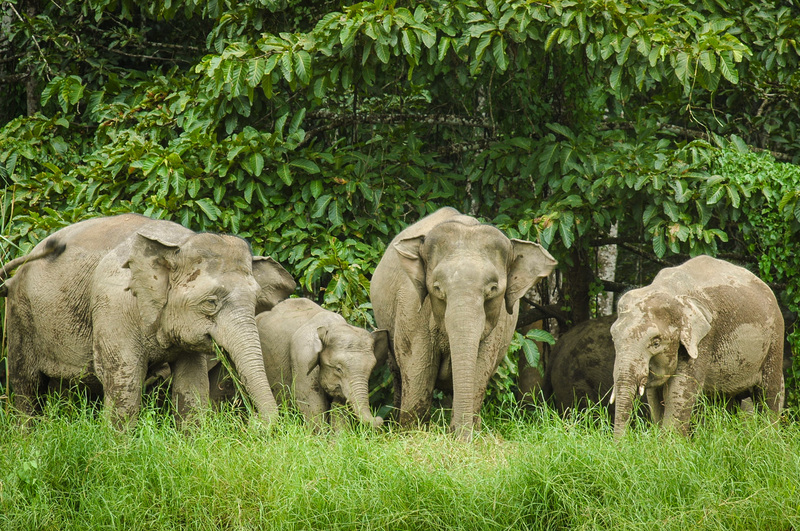 WWF-Malaysia has identified safe ways that humans and elephants can co-exist, benefitting both species. 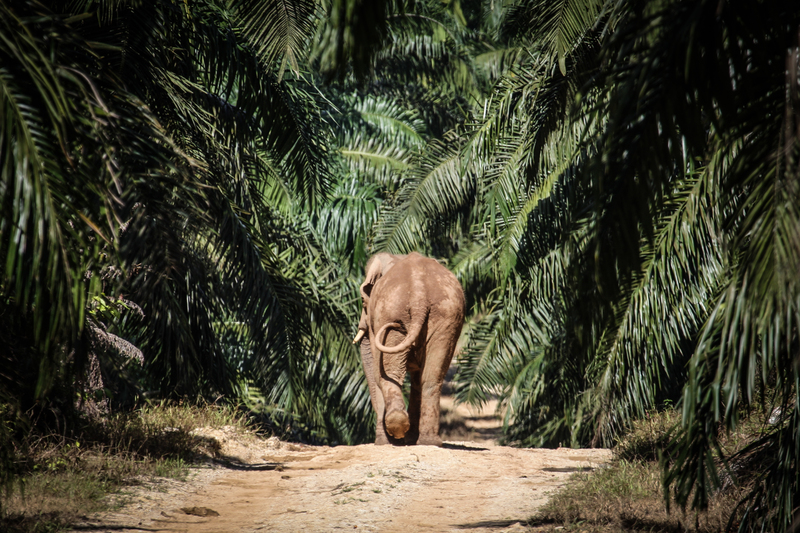 For plantations in particular, these steps include erecting electric-fences only around vulnerable areas (housing areas and young palms which are more susceptible to damage) thus allowing other areas open (where damages are negligible) for elephant use. These open areas include tree plantations, rubber estates and mature palm areas. For plantations that are adjacent to fragmented forests, WWF-Malaysia is advocating for setting aside parts of the plantation for elephants to travel through based on the satellite-collared elephant movement data. To further educate plantation workers, workshops have also been organised in collaboration with the Sabah Wildlife Department on possible elephant contact. Brochures educating the public on what they should do when in close contact with elephants have also been distributed among plantation workers and affected kampungs. But the biggest change has to come from the people themselves. In order for the elephants to co-exist with humans, we need to stop viewing these wildlife as pests or as a distant problem far removed from our everyday life. We need to consider them as a part of our landscape – one that deserves to live on it just as much as humans do. The fact of the matter is that humans can exist in the same space with creatures as majestic as elephants. What we all need to learn is a little bit of tolerance. The month of August is a significant month in the conservation calendar as it celebrates two of the state’s most iconic species – the Bornean orangutans and the Borneo elephants. Their continued survival represents not only the vast biodiversity of the land we inhabit but also how far we as humans have come in learning to adapt to living together. Setting aside corridors will allow continuous elephant movement. 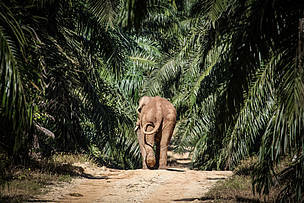 Elephants often travel through palm oil plantation.